Abstract: Optical forces are generally thought to be too weak for practical use. This picture changes when applied to lightweight nanoscale devices. In this talk, we demonstrate that significant optical force can be produced by a single pass of light in a silicon photonic circuit. This optical force, originated from lateral photon confinement rather than from momentum transfer, is applied in a planar geometry and offers high scalability. Control and harnessing optical force will allow solid state devices to operate under new physical principle, and open doors to non-charge based classical and quantum devices. 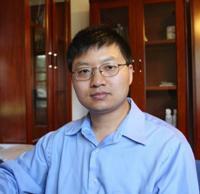 Biography: Hong Tang is an assistant professor in Electrical Engineering at Yale University. His research interests are nanophotonics, nanoelectromechanical systems, and the emerging field of cavity optomechanics.